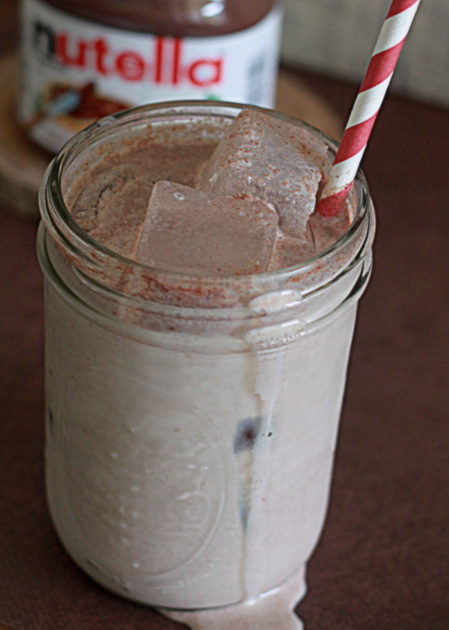 This rich, creamy, chocolate-hazelnut cocktail tastes just like a milkshake. Careful; it might be a little *too* delicious. Liquor and Nutella? Well, why not? I mean, heaven knows how much we desperately needed yet another sinful, scrumptious way in which to enjoy everyone’s beloved Nutella. How about a Nutella mudslide to fill the (non) void? This is the mudslide to beat all mudslides. If there was a mudslide showdown – a Mudslide Challenge if you will (and I would be first in line to participate in such a glorious thing) – this mudslide would get first prize. Rich, creamy, decadent. Chocolate and hazelnut. Baileys and Frangelico. Cream and Nutella. Happiness and light. So, yes. 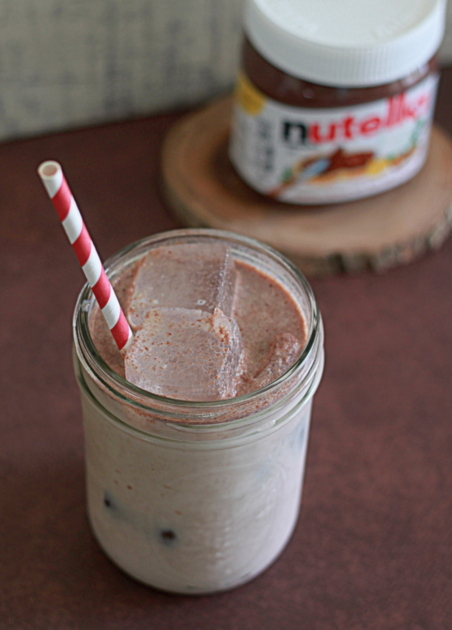 Yes, absolutely: liquor and Nutella. I mean, if you’re going to indulge, indulge. Stir together the Nutella and half-and-half for about a minute or until the Nutella is dissolved. If the Nutella isn't dissolving, microwave the Nutella and half-and-half for 10-20 seconds then stir again; that should do the trick. 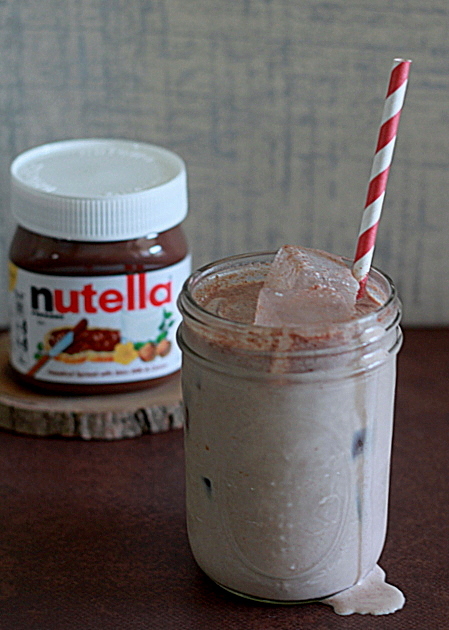 Add Nutella/half-and-half mixture to an ice-filled cocktail shaker. Pour in the Frangelico and Baileys. Shake for about 10 seconds and pour into the glass with ice cubes and serve with a straw. I’m not much of a drinker, but mudslides are probably my favorite alcoholic drink. They go down sooooo easy and before you know it, surly drunk Kiersten has been unleashed. 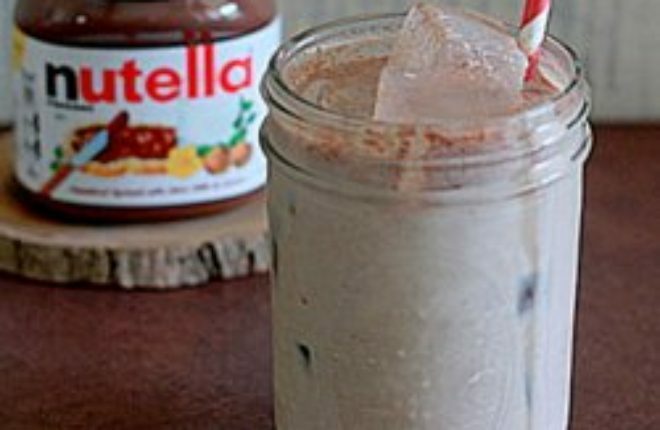 Adding Nutella is kind of genius. I have fond memories of mudslides. My first taste of alcohol was a mudslide on the beach in Jamaica. There they served them blended with banana added in and it’s SO good! 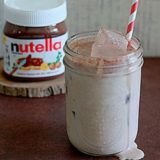 I love nutella and haven’t had a mudslide in ages so I’ll definitely be giving this version a try.